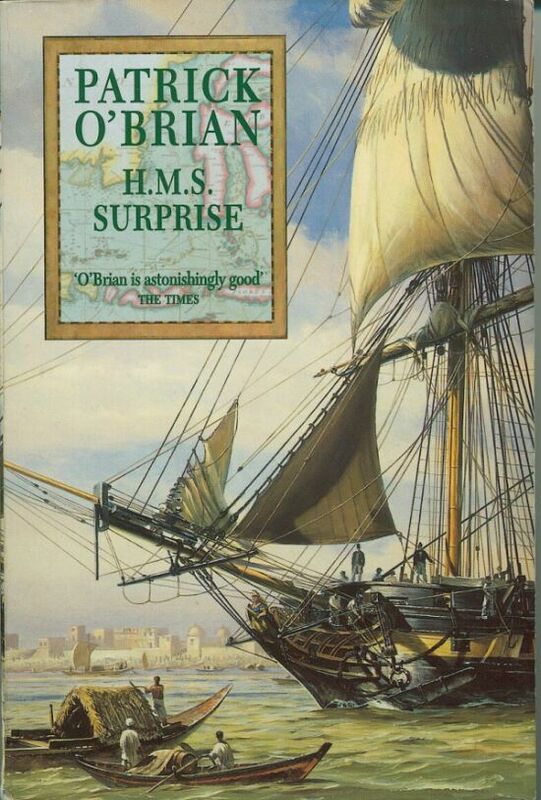 I hesitate to write about Patrick O’Brian since he is one of the most popular authors there is. But then I remember reading glowing reviews of his books and thinking “This can’t be true . How interesting can an endless series about a naval captain during the Napoleonic wars and his travelling companion an Irish surgeon be ?.” Seeing the film Master and Commander did nothing to encourage me to change my mind. And then one day, I read an article which claimed that if you started reading these books you would not be able to stop. I thought I would give it a try. I remember being sceptical as I read page one and then all I remember is that I read eighteen of the Aubrey/Maturin novels in less than a year and that in every book I marked passages I wanted to read again. The first thing you notice is the masterful way O’Brian describes the sea. When you read a description of a storm you have to go and get a towel to dry off. But he also provides wonderful descriptions of scenes on land. There are two I remember in particular. The first is when Stephen (the Irish surgeon) is taken round Bombay by an untouchable girl who decides that he must be a holy man because he is so ugly. The second when he walks up into the mountains on an island in the East Indies and stays at a Buddhist monastery. Here he finds that the animals, having never been disturbed by the monks, do not avoid him but mill around him. Many a grizzled head was shaken on the forecastle, with the ominous words, profoundly true and not altogether outside Stephen’s hearing. ‘We shall see what we shall see.’ South and south she ran, flanking across the west wind, utterly alone under the grey sky, heading into the immensity of ocean. From one day to the next the sea grew icy cold, and the cold seeped into the holds, the berth-deck and the cabins, a humid, penetrating cold. Stephen came on deck reflecting with satisfaction upon his sloth, now a parlour-boarder with the Irish Franciscans at Rio, and a secret drinker of the altar-wine. He found the frigate was racing along under a press of canvas, lying over so that her deck sloped like a roof and her lee chains were buried in the foam; twelve and a half knots with the wind on her quarter – royals, upper and lower studdingsails, almost everything she had; her starboard tacks aboard, for Jack still wanted a little more southing. He was there, right aft by the taffrail, looking now at the western sky, now up at the rigging. ‘What do you think of this for a swell?’ he cried. Blinking in the strong cold wind Stephen considered it: vast smooth waves, dark, mottled with white, running from the west diagonally across the frigate’s course, two hundred yards from crest to crest: they came with perfect regularity, running under her quarter, lifting her high, high, so that the horizon spread out another twenty miles, then passing ahead, so that she sank into the trough, and her courses, her lower sails, sagged in the calm down there. In one of these valleys that he saw was an albatross flying without effort or concern, a huge bird, but now so diminished by the vast scale of the sea that it might have been one of the smaller gulls. ‘It is grandiose,’ he said.